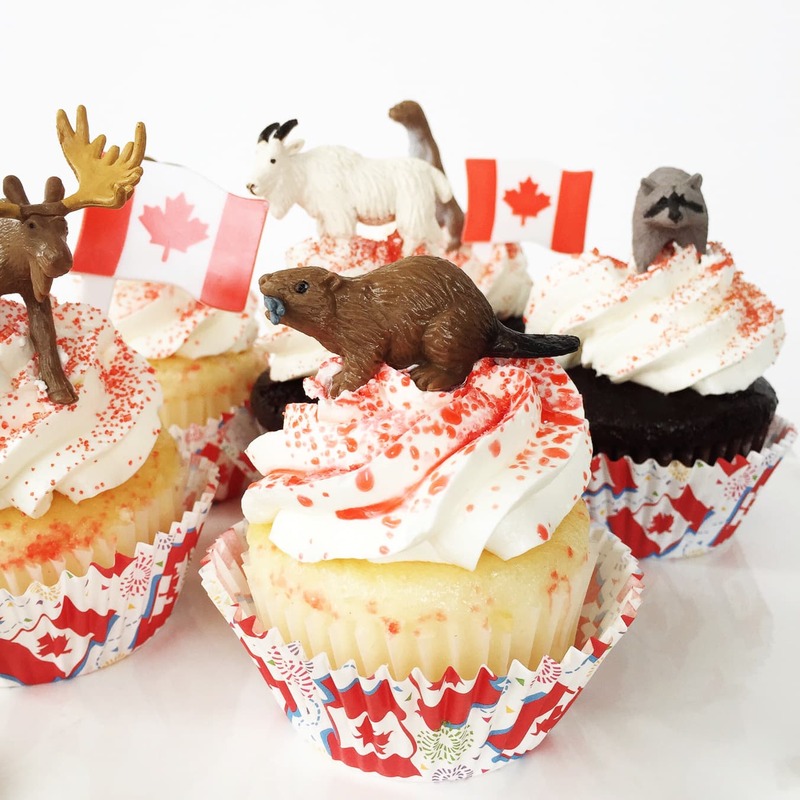 Make these Canadian Animal Cupcakes for your Canada Day Party! To make this even easier, take the pressure off and buy your cupcakes! 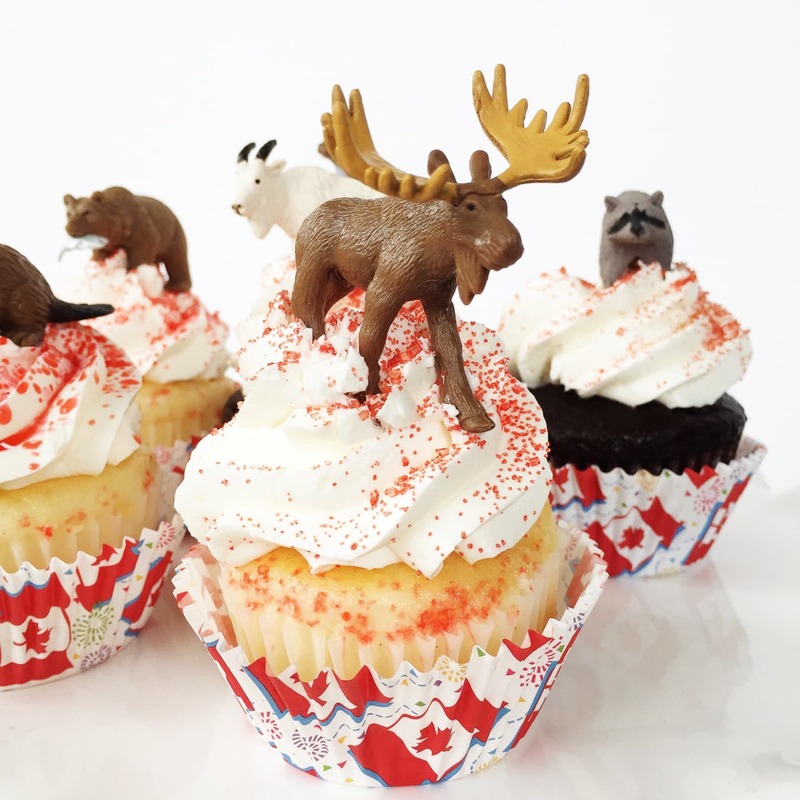 Ok, so I think these Canadian Animal Cupcakes are the easiest thing I’ve ever shared over here. 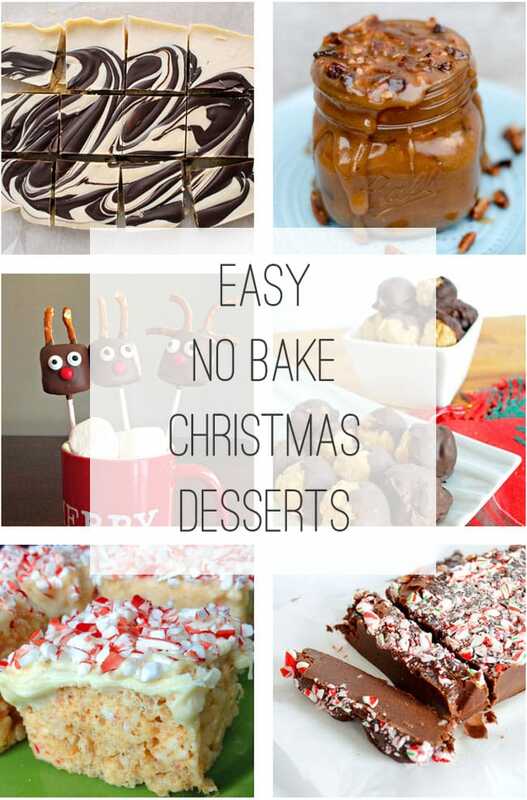 I put these little treats together using store bought cupcakes! I just decided that for party planning it’s good to share options that will make your life just a little less stressful. 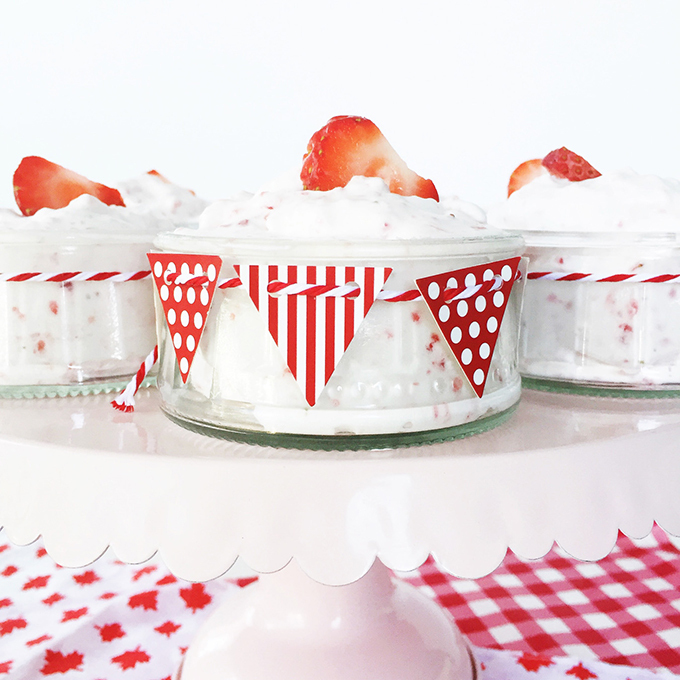 Sometimes we just don’t need to make everything ourselves, especially if we’re the ones planning and cooking for our Canada Day party. 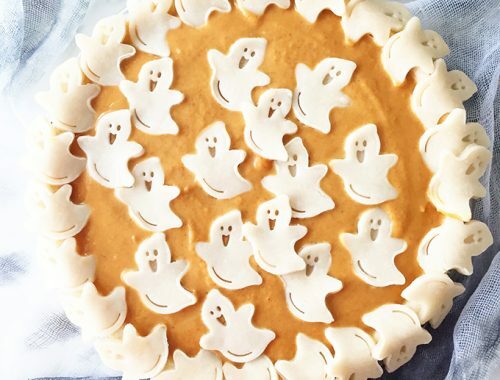 Why not buy dessert, then dress it up a little at home to make it festive? 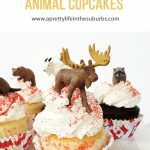 Trust me, everyone will think these cupcakes are the greatest! 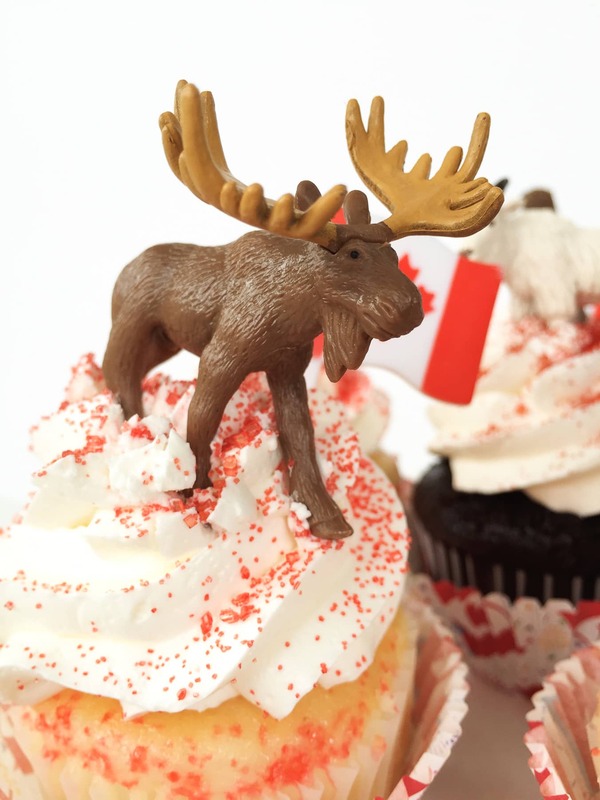 I just bought a 6 pack of cupcakes from our grocery store bakery, and dressed them up a bit to make them fun and Canada themed. For these cupcakes I wanted to top them with Canadian wildlife that we all can identify with. So I went in search of miniature Canadian animals. I was lucky enough to find them at my first stop (Michaels)…they were in the kids toy aisle in those toobs with miniature animals! Score! 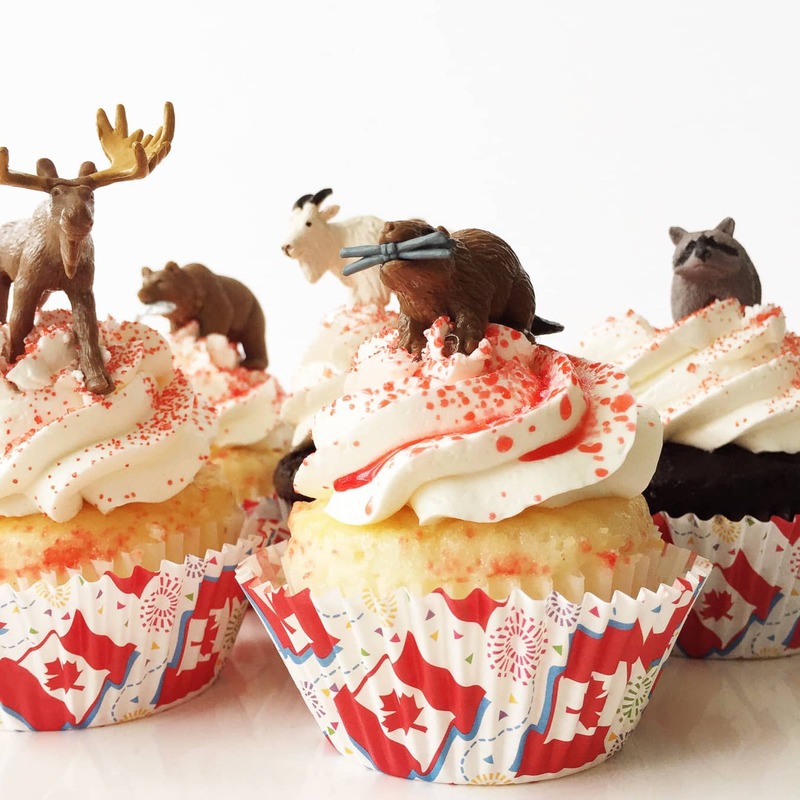 I placed a little animal on each cupcake, then added some new Canadian themed muffin liners. SO simple. Seriously. But look how adorable they are! Remember, we don’t have to be super heroes for party planning. You can put together the best kind of party with easy and delicious shortcuts like this! The goal is to have fun, and that includes the host! So what do you think? Are these not the cutest cupcakes ever? If you would like to make your own cupcakes, I have a delicious vanilla cupcake recipe. 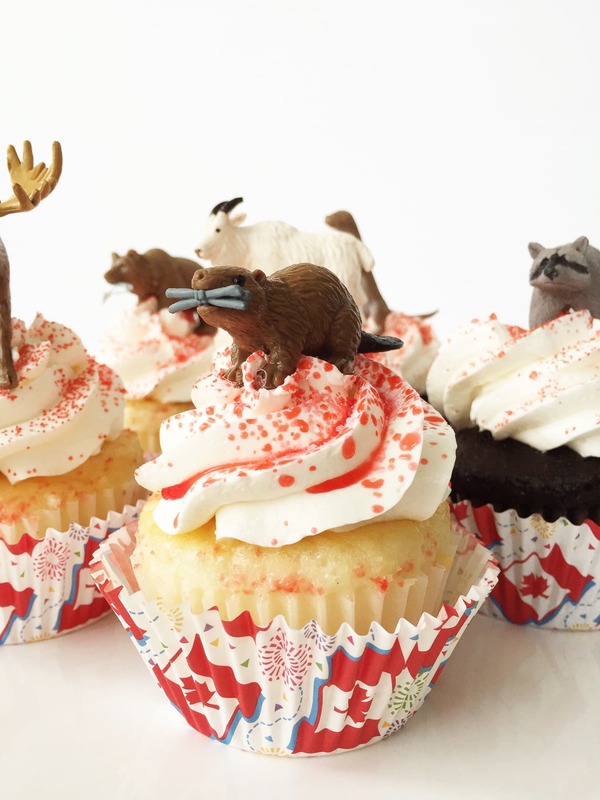 These animal toppers would also look great on top of a cake. 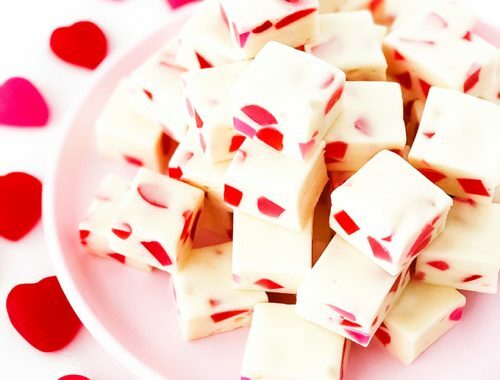 If you want to get really festive, add some red and white sprinkles too! 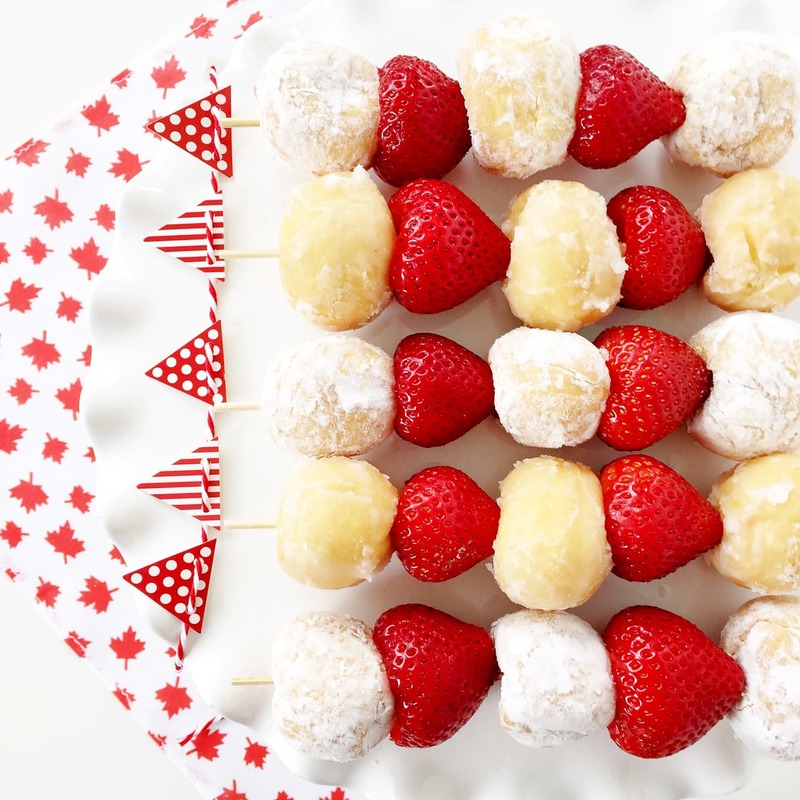 Here are more Canada Day Party Ideas! Make these delicious and fun 5 Minute Dessert Kebabs. Only 2 ingredients. 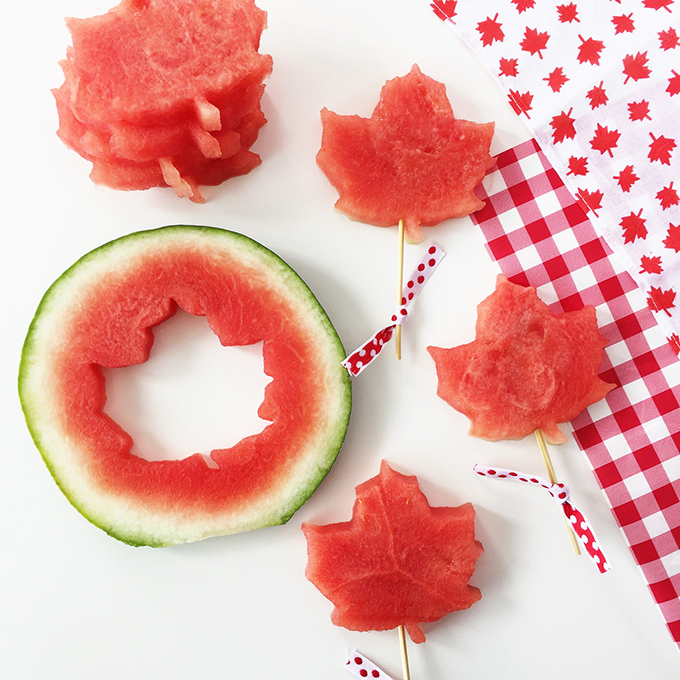 Make Maple Leaf Shaped Watermelon pieces! Such a simple and fun way to serve this summer treat! Make this light and delicious Strawberry Cloud! SO good. 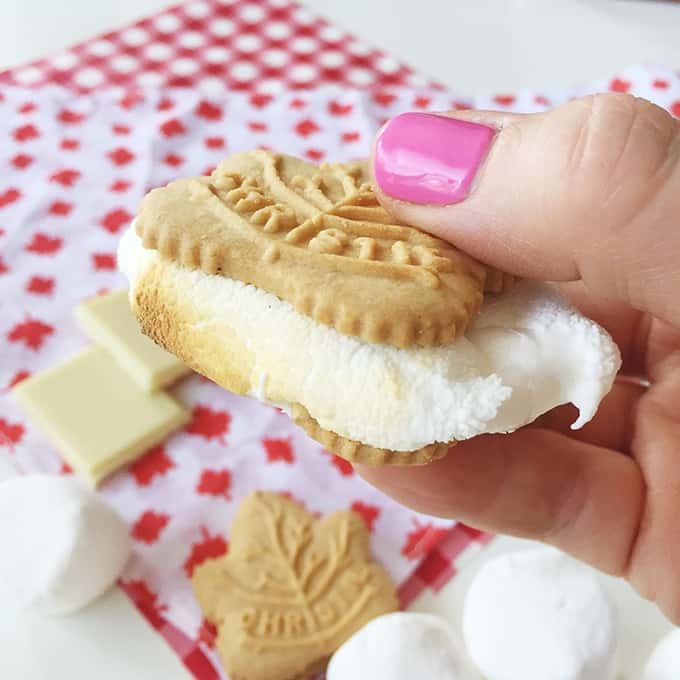 Up your s’more game and make these Canada inspired Maple Leaf Cookie S’mores at your next campfire!